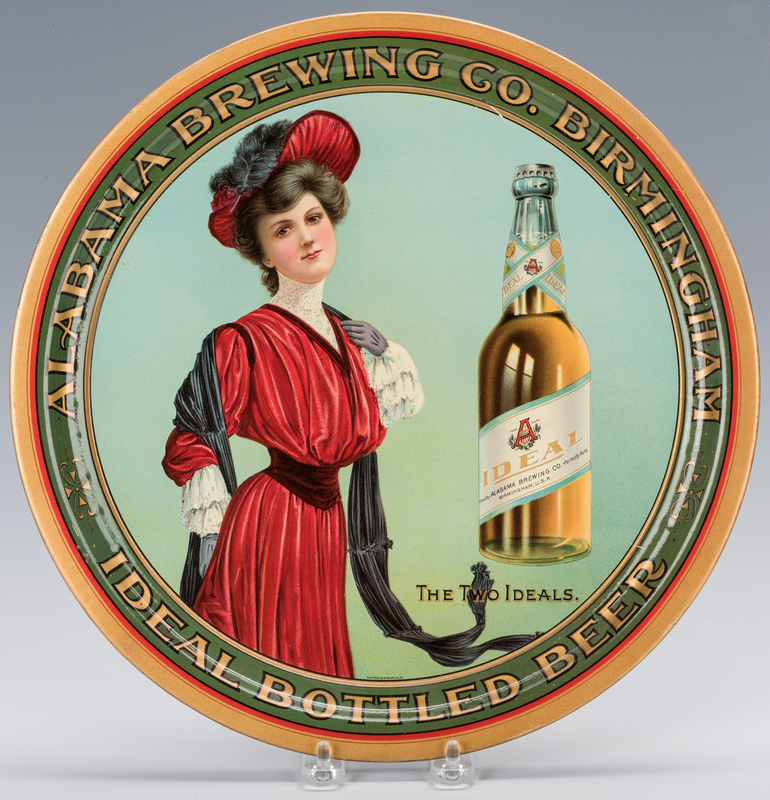 Alabama Brewing Brewing Company, Birmingham, Alabama pre-prohibition lithographic tin advertising beer tray. 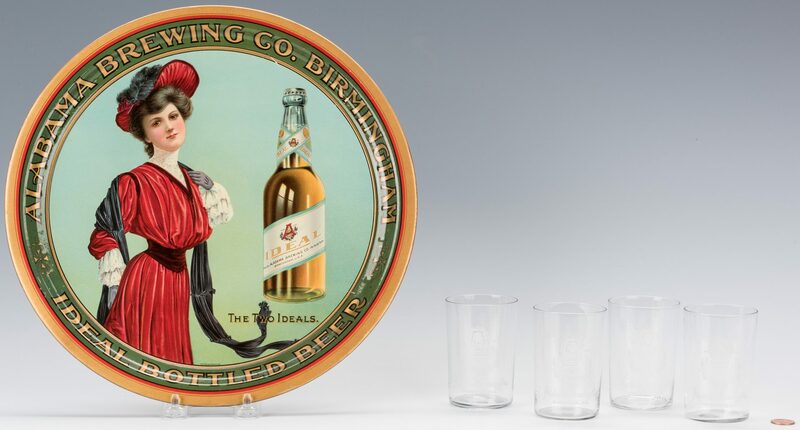 Center decoration of young woman in a red dress with a bottle of beer bearing the caption THE TWO IDEALS. Rim reading ALABAMA BREWING CO. BIRMINGHAM/IDEAL BOTTLED BEER. 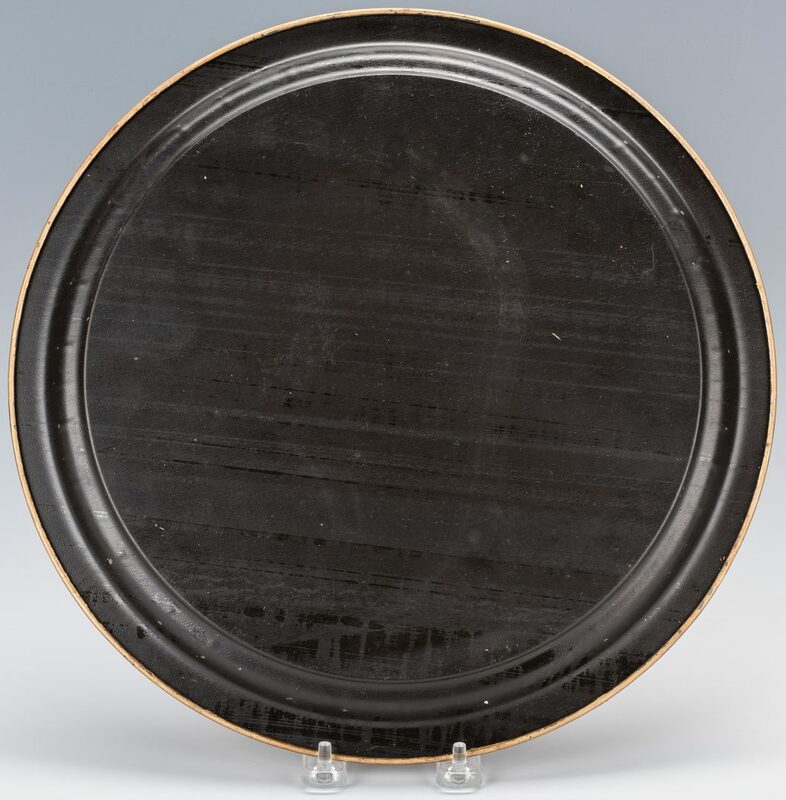 Tray printed by Kaufmann & Strauss Company, New York. Together with four (4) etched Alabama Brewing Company beer glasses. 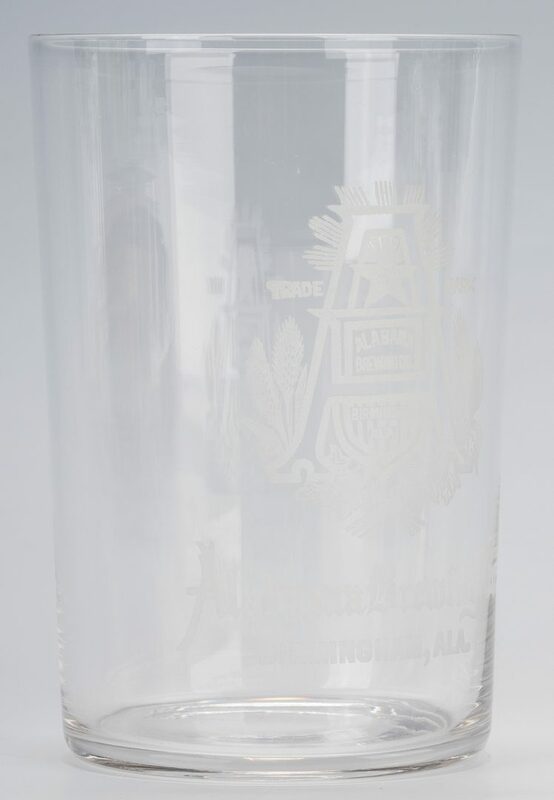 Etched decoration including the company trademark logo. Tray – 13" dia. 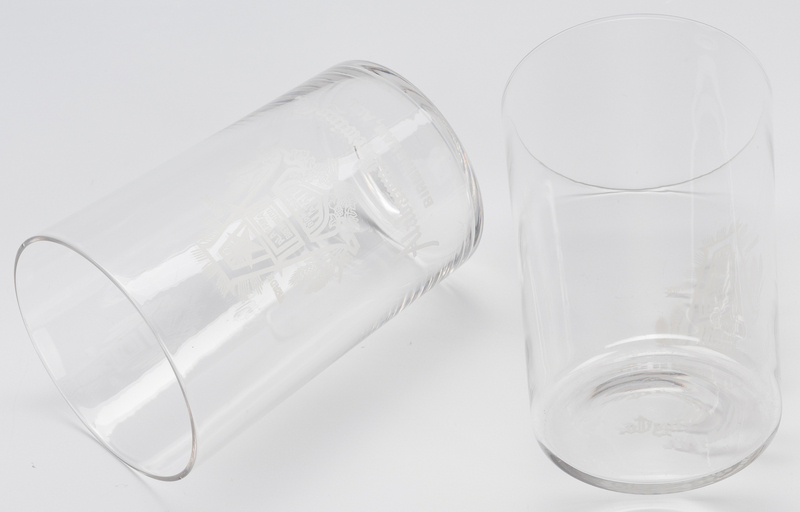 Glasses – 3 3/8" H. Provenance: Private Alabama Collection. 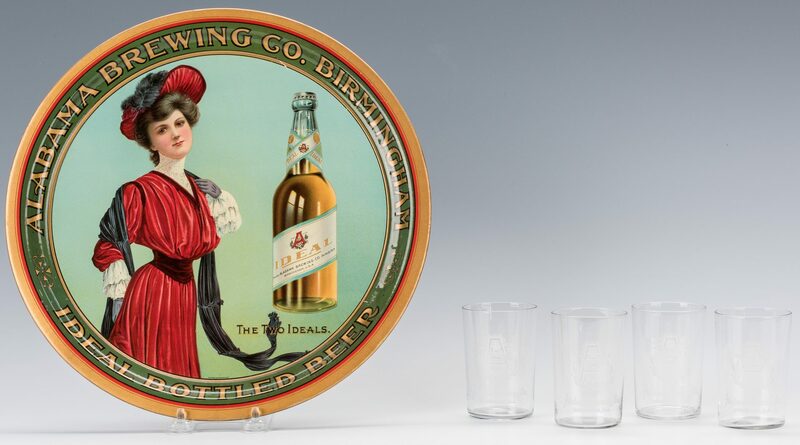 Note: "The Alabama Brewing Company was a brewery operated by Isadore Newman, Arthur Isnard and A. Cammack of New Orleans, Louisiana from 1897 until local prohibition was enacted in 1908. 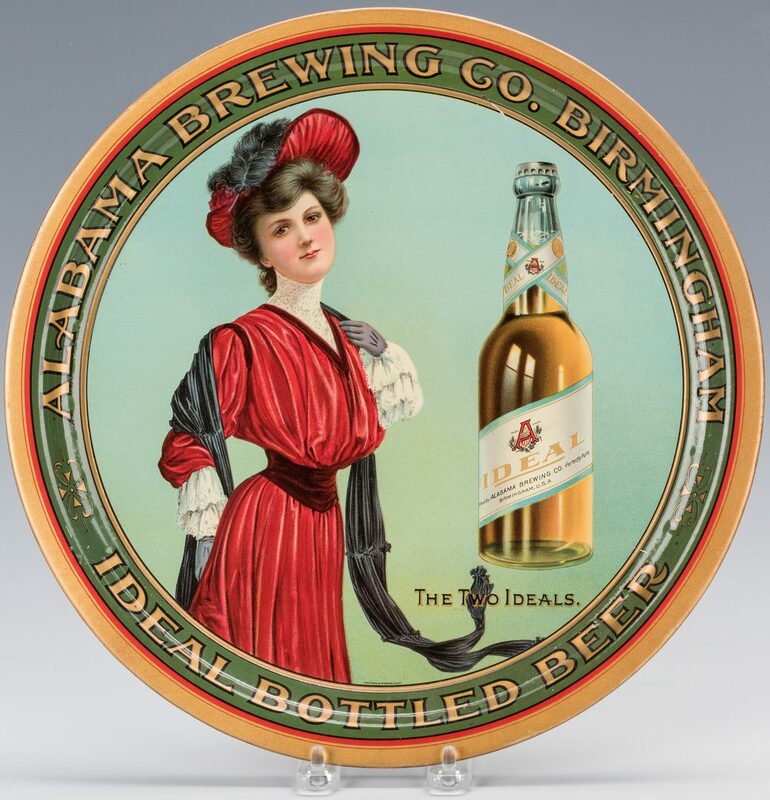 The newly-formed business took over the idled brewery at 22nd Street and Avenue E operated by the Birmingham Brewing Company, which went bankrupt during the financial panic of 1893. 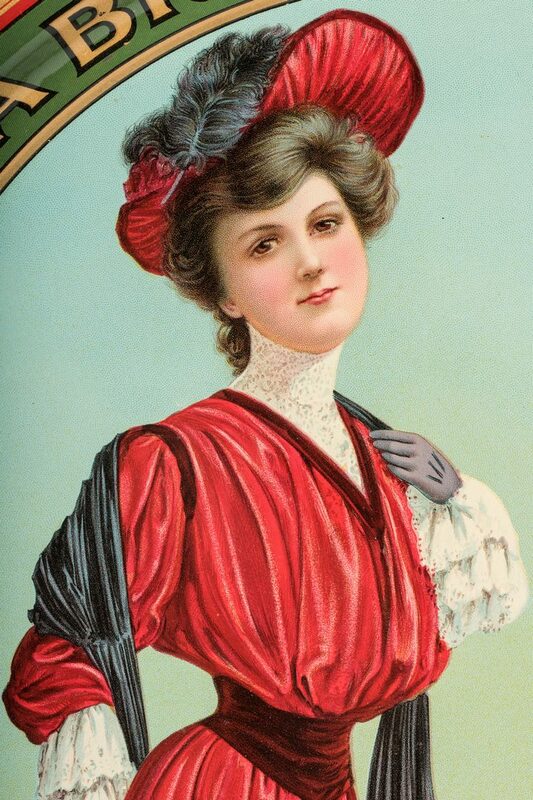 In 1906 the company acquired additional property on Powell Avenue and engaged the firm of Wheelock, Joy & Wheelock to design a commercial building that could be leased to William Wise to operate a saloon. 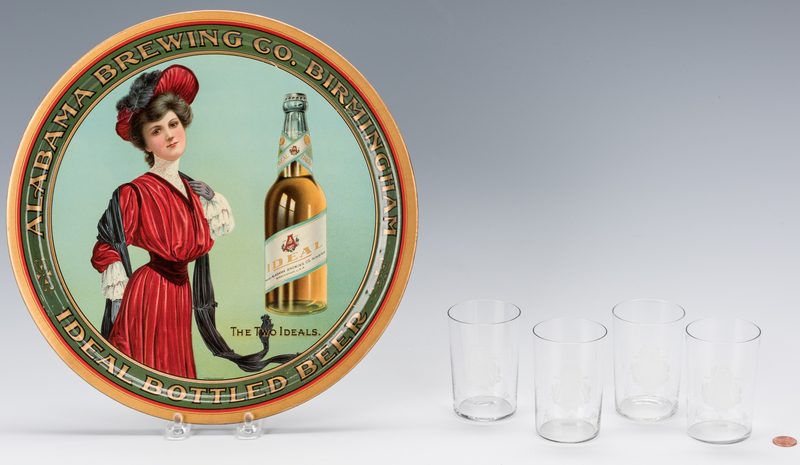 Jefferson County residents voted on October 28, 1907 to enact a local prohibition on alcohol sales. 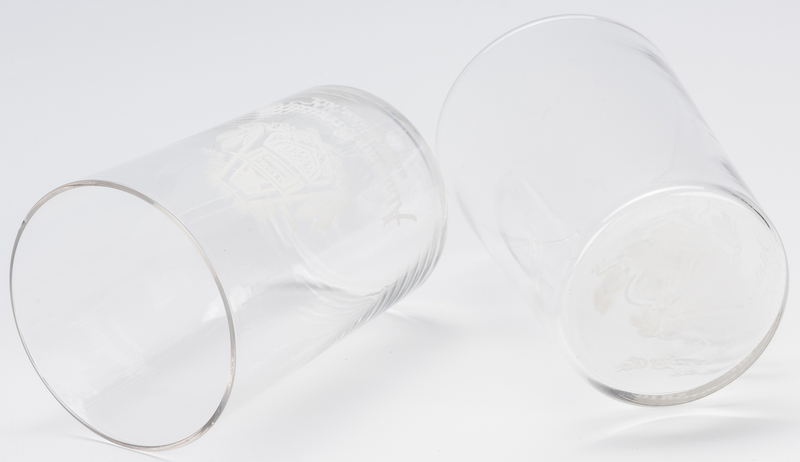 The brewery was given until May 28 to dispose of its stock and ended up pouring 300 barrels into the street that day. 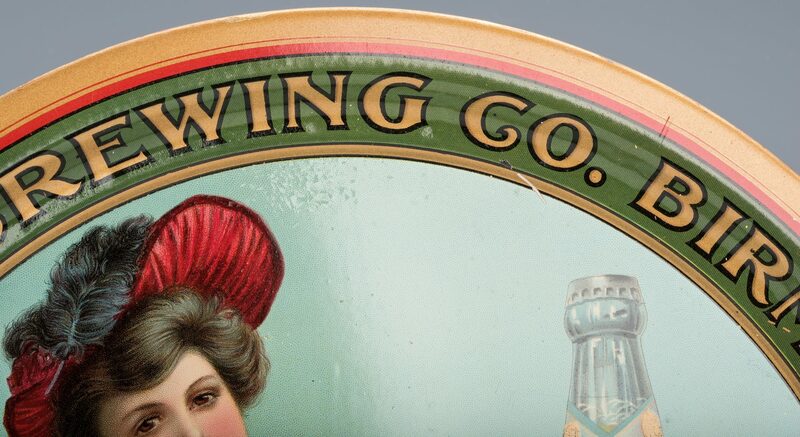 The owners continued doing business as an ice manufacturer until 1917". 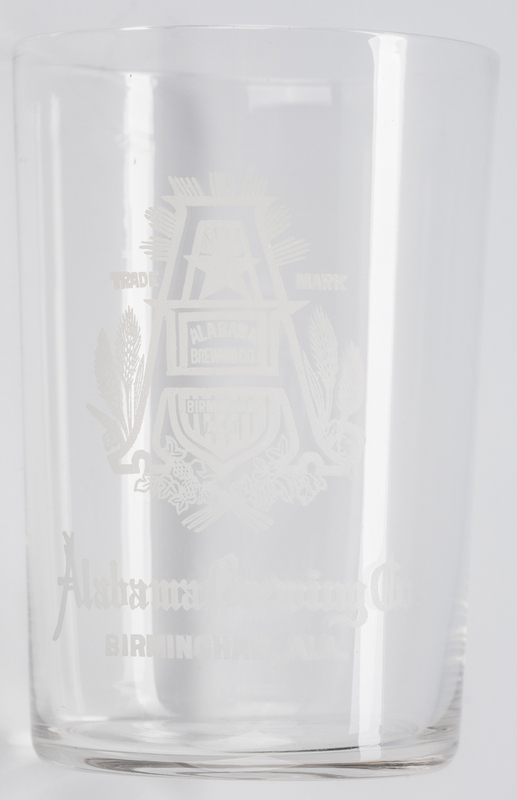 (Information according to https://www.bhamwiki.com/w/Alabama_Brewing_Company). CONDITION: Tray very good condition with no apparent use wear. Areas of lifting to flat surface of tray along top and lower areas near rim. Minor scratch upper rim above beer bottle, minor lower scratching. Some very slight pitting to center. Glasses excellent condition.